More automobile deaths than in years prior - is this Uber/Lyft's fault? Uber Creates Traffic Congestion, So What's the Solution? Will NYC's cap on number of rideshare drivers really ease the traffic congestion? 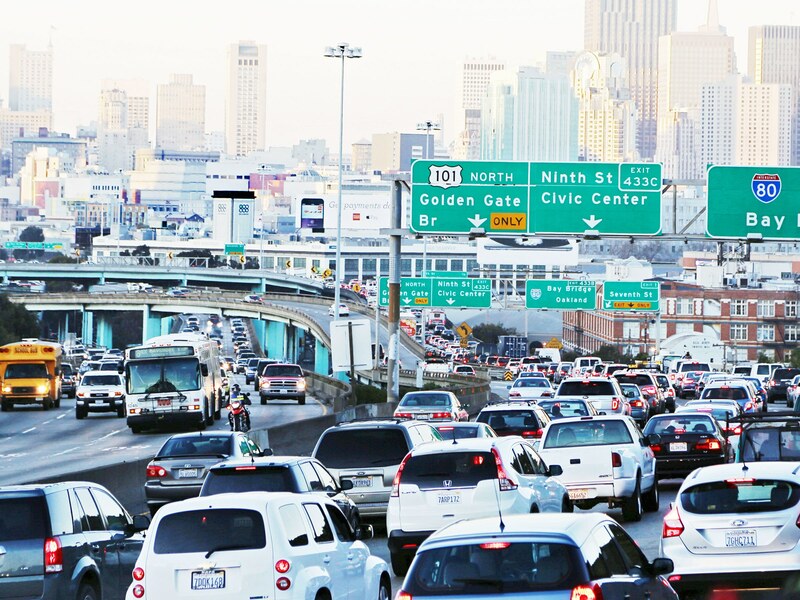 In San Francisco between 2010 and 2016, there was an increase in daily vehicle delay hours, which is how many hours are spent the car due to traffic congestion. Uber and Lyft are said to be responsible for 51% of this increase, as well as 47% of the increase in miles traveled, and 55% of the average speed decline on roadways. The other factors that contributed to this increase were expected factors such as population increase. Lyft responded to the findings of this report saying that the statistics were not an accurate representation of the factors that have contributed to the increase in traffic in San Francisco. The report does not include factors such as the amount of construction, the impact of the growing freight and delivery market, tourism, and more. One of the things Uber and Lyft are doing to help combat the bad press of increasing traffic is increasing their investment in other transportation options such as electric bikes and scooters. Additionally, the companies are focusing on developing carpooling services that limit the number of idle rideshare vehicles by allowing passengers going along a similar route to share a car. Uber and Lyft both offered to partner with public transportation services, specifically in San Francisco, to get to the bottom of the root causes for the increase in traffic and what impact it could have on the city’s residents. Some may argue that the increase in traffic is a good thing, because it indicates that there are more people visiting the city and therefore stimulating local business and economy. However, on the other side of the argument, the increase in traffic could have a detrimental impact on the number of deathly vehicle accidents on the road. In 2010, right before Uber and Lyft began their massive expansion, the number of traffic fatalities hit its all-time low since 1949. Ever since the rideshare companies have become widespread, and almost “mainstream”, the number of deadly car accidents has increased. According to researchers from University of Chicago and Rice University, the rideshare companies are associated with a 2-3% increase in the number of motor vehicle fatalities. The research paper is not yet published, but a draft was recently released that highlighted some interesting statistics. The findings from these studies are proving that although it may not be quantifiable just yet – there is a clear relationship between the existence of rideshare companies and the amount of traffic congestion the city experiences. These topics will no doubt continue to be studied by statisticians and researchers across the world, while in the meantime, companies like Uber and Lyft will work with local transportation authorities to figure out how to co-exist in a way that is beneficial to the members of society. Ride sharing apps aka e- taxi is not part of the gig economy unless you are driving in a third world country. They are ruthless opportunists who thrive on modern day slavery and have ruined legitimate yellow taxi owners and small private taxi companies. Yes we are not angels but on the flipside politicians and white collar workers in general would trade their mother for a chocolate bar. Here in NYC we have over 100,000 F - in TLC cars and most of are new bees who couldn't drive without staring at a GPS and cause accidents. Mayor DeBlasio I hope you choke on a turkey drum this Christmas because you are a poor excuse for a human being. All those under the table envelopes have the blood of those who have committed suicide and it will come back to you. If you don't believe in hell,you will when you get there. Congestion this !! !